Samsung is still sorting out the mess connected to the recalled Galaxy Note7, but is nevertheless ramping up mobile chip manufacturing by investing $1 billion in an Austin, Texas, factory. The investment will be applied early next year, and will also be used to expand manufacturing of semiconductors for electronics, the company said on Tuesday. 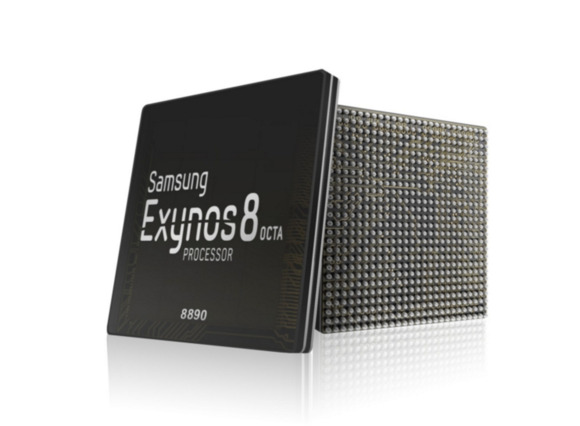 Samsung makes Exynos chips that are used in its smartphones, but also semiconductors for storage, memory and batteries. Most of the components in the Galaxy S7 handsets are made in Samsung factories. Samsung discontinued the Note7 after battery-cell problems led to overheating and fires in some of the phones. But that apparently is not halting company plans to expand its mobile chip production. Companies like Intel and GlobalFoundries also have manufacturing facilities in the U.S. Intel recently signed a deal to make ARM-based mobile chips, and will make smartphone chips for LG handsets in its U.S. plants. Chip manufacturers are also dedicating more resources to making chips for IoT devices, which will ship in the billions by 2020. Samsung offers Artik IoT boards, which have processors, memory and wireless components made by the company. Most of Samsung's manufacturing takes place in South Korea. The company opened its Austin manufacturing plant in 2007, and it was initially used to make NAND flash chips. Samsung invested $3.5 billion at the time to get the plant started. The Austin plant has 2.3 million square feet of space and employs 3,000 people, according to Samsung.